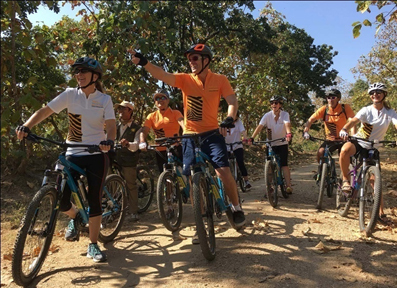 Pugdundee Safaris is pleased to organize Jungle Book Cycling Experience that takes you to central India’s famous - Pench & Kanha Tiger Reserves. 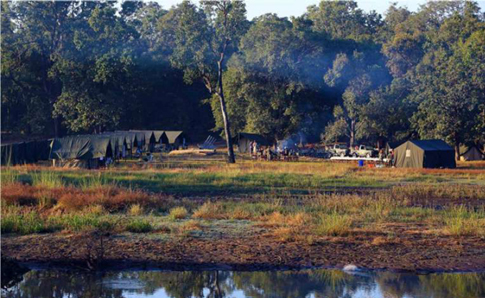 The trip covers exciting Kanha-Pench forest corridor with mobile tented camping experience in the forest. 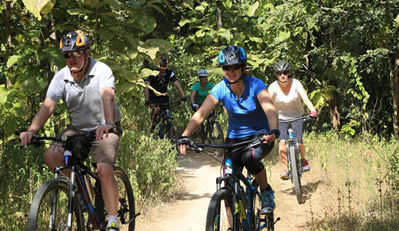 Wildlife, landscape and tribal communities make it a fascinating region to cycle through the forested corridor that serves as a refuge to dispersing wildlife across the parks. There will also be a small tour to Rukhad Sanctuary. Rukhad is an eco-tourism destination rich with its wildlife and scenic natural beauty. Before Pench National Park (now Tiger Reserve) was notified; historically Rukhad was one of the most popular forests for seeing wild animals. 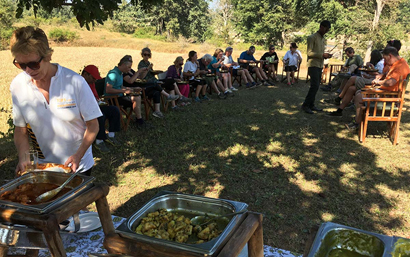 Apart from the wildlife, the tour provides distinctive opportunity to experience rural life in India and meet local people who live in harmony with wildlife. You will be accompanied by expert English speaking naturalist / guide, who will be dedicated to providing you with the very best travel experiences, incredible local knowledge and share our vision of authentic exchange and real exploration with a responsible tourism approach. Day 01 - Arrival at Kanha Earth Lodge 28th Nov-19 - Arrive for lunch at Kanha Earth Lodge, PM game drive. 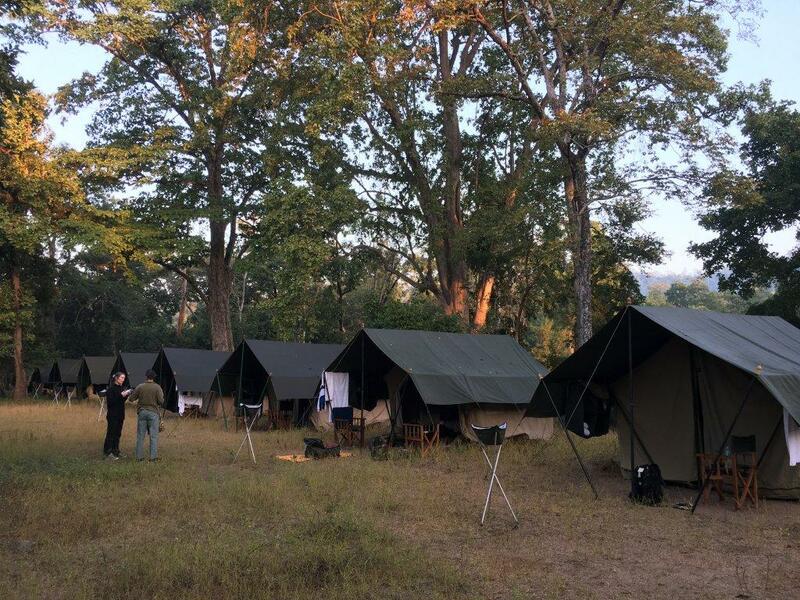 Day 02 - Kanha to Camp site 1 29th Nov-19 - Post early morning breakfast we start our cycle ride to our tented camp, a total of 33 km ride through tribal villages, jungles and stunning country side. Enroute picnic lunch at a scenic location. Overnight stay at the camp. Day 03 - Campsite 1 to Pench 30th Nov-19 - Post breakfast we ride 12 kms to meet waiting vehicles to transport us to Pench Tree Lodge, lunch on arrival. Evening at leisure. Day 04 - Rukhad Sanctuary 01 Dec-19 – In the morning we cycle into Rukhad sanctuary (22 km) and arrive for a hot lunch. 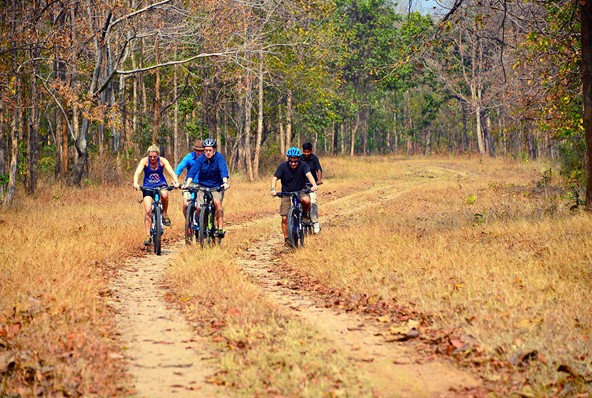 Post lunch we do jeep safari in Rukhad and return to Pench Tree Lodge. Day 05 - Safari and Departure 02 Dec-19 - Morning jeep safari and departures. Helmets are provided by us. Wearing a helmet is compulsory. Your guide is trained in first aid and emergency rescue but to a large degree you must be responsible for your own safety while riding. It is therefore advisable that you take out travel insurance that will cover you for a mountain biking tour. You will have to sign an indemnity clause on arrival at the lodge. The cyclists are supported by vehicles throughout this tour and they are always available for tired cyclists. It is very easy to get on and off the cycles; so you can rest when you are tired and cycle whenever you feel like it. 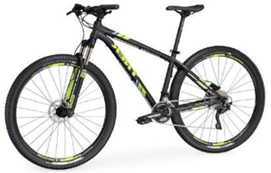 Mountain Bike - X-Caliber of Trek USA This Cycle packs all of Trek’s XC race hard tail experience into a light, fast, race-ready bike. This mountain bike is an efficient, simple and straight-up fun. Great for marathons or simply shredding single Jungle and rural tracks. Race-ready spec - 2x drive train options, suspension lockout, Tubeless Ready rims, and Shimano hydraulic disc brakes mean you’re ready to roll right from go. Light, precise race frame - Highly refined Alpha Aluminium frame uses sophisticated tube shaping to minimize weight and maximize race-day performance. Smart Wheel Size - It has the right size wheel on every frame 29er on 17.5” and up. Everyone wins. More sizes fit more riders - We have mid-range 18.5˝, and large 19.5 frame size to fit most riders. Special sizes on request. The support vehicle and guide carry basic spares and tools, though we cannot guarantee having spares for every conceivable problem. 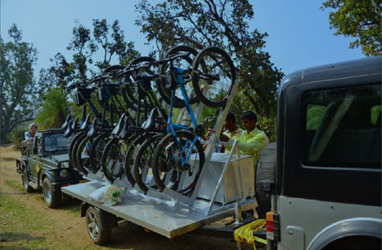 A spare cycle is also carried in support vehicle on long rides.